After I answered these questions, the subject changed, but later I found myself wondering why I constantly hesitate to tell people what I do. It regularly leads to interesting conversations and lots of good questions like the ones asked at the party. So why the reluctance to answer? It wasn’t until a few days later when working with a client that the answer fell into my lap. It’s not because teaching Pilates isn’t a valid job, and it’s not because it isn’t hard work. But because it is my passion and I love what I do, words like “work” and “job” just don’t seem appropriate. I realized the questions I answer don’t seem to get to the heart of what I do. The client that I was working with at the time is 87 years old. After an illness, she came to me this summer with the help of a walker and two people on either side, barely able to walk through the door. She was weak and tired, but her daughter wanted her to come, so she did. We did 10 minutes of movement in her 30-minute session, which was all she could handle. The other 20 minutes we spent sitting on the reformer as she told me about her kids and grandchildren. Later that day, I spoke with her daughter and told her I wasn’t sure she was up for this. She asked me not to give up yet. I agreed to try again and the next week my client was back with her walker and two helpers. We did 15 minutes of movement that week and spent the other 15 talking about her granddaughter, who is getting married in the spring. My client described how beautiful her granddaughter is, what she was like when she was little, and how she loves when she comes to visit. She looked away for a moment and became quiet. When she looked back at me, her eyes full, she said, “I’d give anything to be able to dance at her wedding.” “Well, we better get to work then,” I said. I gave her a Theraband and showed her some exercises to do daily at home. The following week she returned, using the walker but with nobody supporting her. She swung open the door and announced she’d been doing her exercises “every day, just like you said.” We got in 20 minutes that day and added in the Wunda Chair for balance and resistance. The following week we added more weight to the springs and she did a full 30-minute session with no breaks! On week six, my client walked in without a walker and with a gleam in her eyes. She told me she had increased the repetitions on the band exercises because it was “too easy.” We are now practicing side-stepping with a heavier resistance band tied around her thighs while adding a few dance moves to the mix. She will dance at that wedding. So yes, I teach Pilates and no, it is not like yoga (but it can be) and yes, it can be super hard (but not always) and yes, you can lose weight (but might not) and… yes! 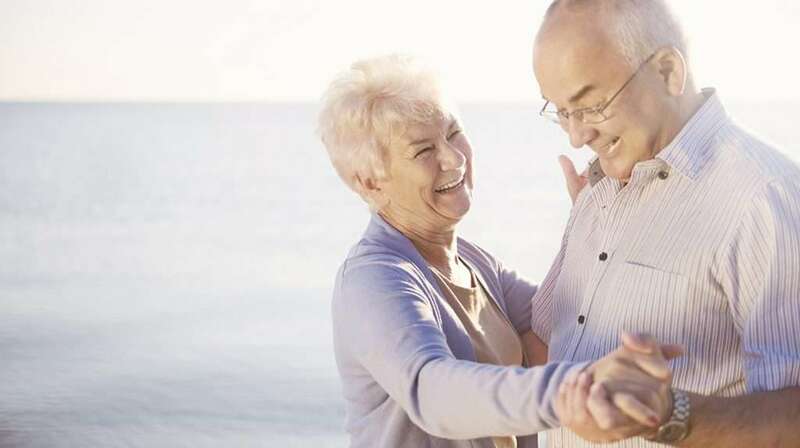 You can dance at your granddaughter’s wedding! How can I possibly call what I do a job? Loved the article and I was smiling while reading the last paragraph. I have the same thoughts in my head and feel the reluctance to answer when I hear those questions. Though I am at an early stage of my Pilates career I understand how fulfilling and gratifying this job can be. Thank you for sharing this.